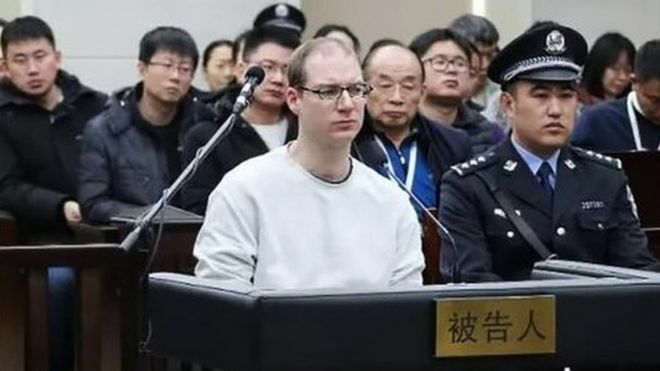 Robert Schellenberg, a 36-year-old Canadian citizen, was found guilty of smuggling 200 kg of methamphetamine into China recently and sentenced to death. Schellenberg was originally convicted and sentenced to 15 years in prison and fined $22,000 last November, but a retrial found the death sentence to be an appropriate punishment. The Chinese court’s sentence to Schellenberg drew international outrage and prompted Canadian Prime Minister Justin Trudeau to call the court’s ruling “arbitrary” and politically motivated. Trudeau also stated that he would “intercede” and not let the death penalty to take place in Schellenberg’s case, but it’s yet to be seen what options or leverage the Canadian leader has at his disposal. The draconian sentence of Schellenberg comes on the heels of heightened tensions between China and Canada, leading many to think that the sentence was retribution for Canadian authorities arresting Huawei Technologies CFO Sabrina Meng Wanzhou in Vancouver last year. Wanzhou stands accused of violating US sanctions against Iran. China also recently detained a former Canadian diplomat and Canadian businessman for “endangering national security”.